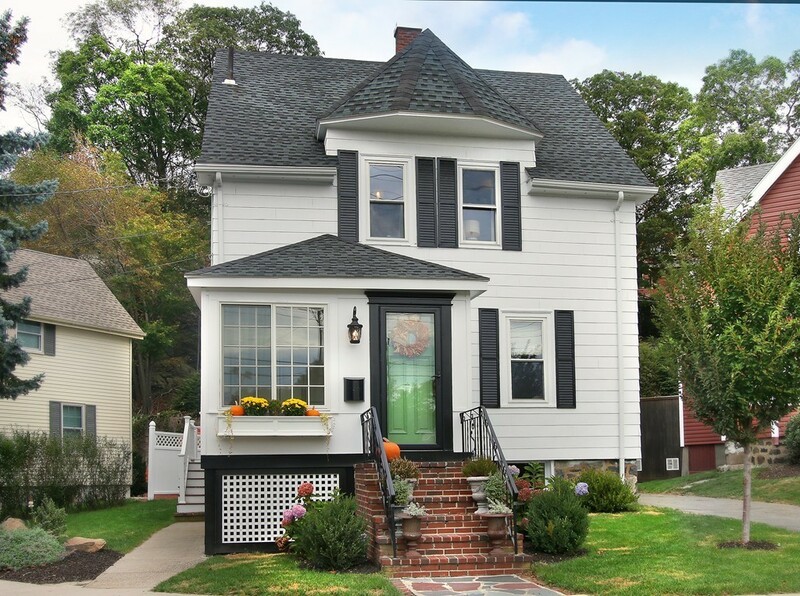 Beautifully appointed Colonial, of excellent scale, thoughtfully detailed and discerningly updated, will please those seeking a well-established neighborhood in a downtown location. Perfectly situated in Cedar Park across from Gooch Park, offering a short walk to Cedar Park train, bus, shops and restaurants, plus the trails of the Fells, makes this beauty a dream. The sellers preserved the original detail of the c.1880 era while undertaking major systems (electric/plumbing/heat/AC+), room renovations and a 3-story addition, weaving all together harmoniously. The kitchen hosts a dining peninsula, quartz counters, marble backsplash, pantry plus half bath. Three generous bedrooms, master with paired closets, renovated full bath and office/reading nook on the second. Lower level family room offers gathering/retreat spaces. Bosch high efficiency heating sys, zoned by floor, plus mini-split air conditioning provide comfort year-round. Pretty patio and green space, plus garage. She's a gem!